Acting on the instruction of Jobs & Business Glasgow, the Glasgow City Council Arms Length External Organisation delivering economic development activity on behalf of the city, Shepherd Chartered Surveyors is offering a mixed use business park investment opportunity in Ibrox for sale. Beech House and Clifford Court are situated within the well-established Ibrox Business Park, four miles south west of Glasgow city centre and benefitting from excellent transport links via the M77, M74 and M8, Ibrox Subway Station and Dumbreck train station. The estate is long established and the surrounding area comprises a wide mix of national and local occupiers from trade counter, warehousing, manufacturing and storage operators. The park itself is popular with both start-up and established businesses, thereby achieving strong occupancy rates. Ibrox Business Park comprises a group of terraced business/ industrial units, together with a two storey office pavilion, all grouped around a central courtyard. The park is secure by design, incorporating CCTV, monitored fire and safety alarm systems. 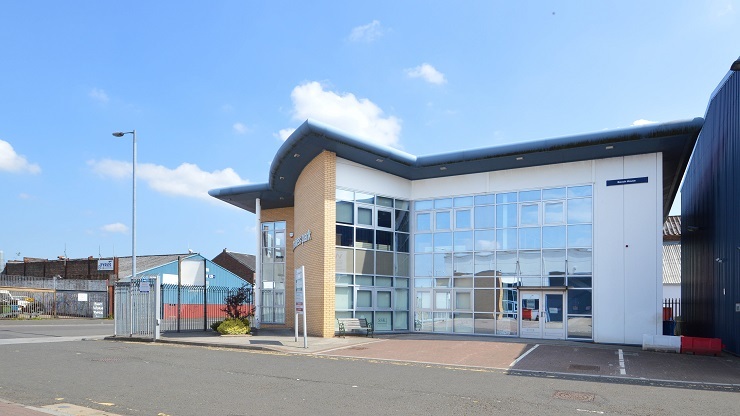 Beech House and Clifford Court provide a 15,890 sq ft of fully let office and industrial accommodation situated in Ibrox Business Park and comprise six individual units let to four separate tenants. Occupiers include SSK Conferences and Events, WGM Engineering, Clancy Docwra and Ovenbird Coffee Roasters. The current annual passing rental is £112,920. Sandy Lightbody at Shepherd’s Glasgow office, said: “This investment opportunity has a number of attractive qualities that should make it of great interest to investors. “Ibrox Business Park is an ever-popular business/industrial area and vacant units tend to re-let quickly. Furthermore, as well as offering an attractive tenant mix, the buildings are of modern design and are well-maintained. Offers in excess of £950,000 are invited, though consideration may be given to disposing of the buildings individually. A sale at this price would represent an attractive Net Initial Yield of 11.29% after allowing for acquisition costs. Interested parties should contact the sole selling agent on tel 0141 331 2807.